Hosting Under the Radar? 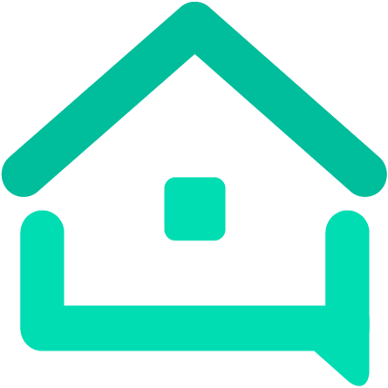 - Research - We are your AirBnB hosts forum! In a location that has sadly begun cracking down on hosting and have received a warning to stop. We are 100% sure we are not bothering neighbors and are definitely not trying to avoid paying taxes (we save the money on the side) which we are happy to remit to our city should they allow us to. But, we do want to keep hosting as we love it and need the money. Has anyone found successful ways to keep their hosting “under the radar” so they can’t get easily spotted by the people looking to bust hosts? You’re not going to any advice on here in respect of breaking local laws or regulations. If you can’t host legally, then don’t host. Simples. Do you host in your own home or is it in a separate unit? Community leaders can easily find your rental property by typing your city on Airbnb, Booking.com. etc. Your guestroom photos and description will be seen and traceable among the other local ones. You will have to quit Airbnb and all other booking platforms to avoid detection. Then ask people to help share your website address to others. well, all I can tell you is i read a story, i think it was on Google news about some hosts from san francisco I think that were brought to trial and the lawyers figured out that even if the listings were new and belonged to multiple people the IP address used to create the accounts was only one and that was the person prosecuted who was required to stop. If officials asked you to stop then you should. Otherwise you mind end up with large sum to pay and prosecutors are smart as you see from above. sell the place and host someplace else where you are allowed, but this kind of activity has to be allowed by the law. there isn’t anything like “under the radar”. One guy in my town does that. He removes his listing during work hours so city workers can’t find it, then puts it back into search in the evening. I think it’s bound to catch up with him eventually. Keep in mind you’re breaking Airbnb’s terms of service by listing a place that isn’t operating legally. But, we do want to keep hosting as we love it and need the money. Guess what? There are things that we’d all like to do but we can’t. If something is against the law then most people, luckily for society, just don’t do it. It might be that they have an accurate moral compass or it might be that they just don’t want to be subjected to huge fines and jail time. But for whatever reason, most people obey the law. It might be that they have an accurate moral compass or it might be that they just don’t want to be subjected to huge fines and jail time. But for whatever reason, most people obey the law. Except when it comes to Airbnb House Rules (since they aren’t “law”). . Argh! Well, I appreciate that perspective and don’t disagree. That said, for the record I can assure you that we are good people who contribute to our society in numerous positive ways. In our tourism-heavy town, the issue is that hotel and B and B owners have waged war on Airbnb hosts to keep their already astronomical, overpriced rates high and climbing, making the destination unreasonably affordable. This city isn’t looking, but the hotel owners are and lodging complaints to eliminate competition. So, while we do nothing unsafe or disruptive, we are still forced underground so that the “rich” can get richer and tourists continue to be gouged. I’m frankly OK with our small bit of civil disobedience that helps “normal” people enjoy our region. A ton of work! Especially when the legal route is a $100 permit. If I recall correctly, there was another tourist home less than 1000 ft. from his house so he couldn’t get one. I’m frankly OK with our small bit of civil disobedience that helps “normal” people enjoy our region. Prince, truly I believe you. But I’m talking here for your own good, not for that of the lawmakers, the hotels or the not-normal people. It might seem as though it’s a minor infraction, like speeding or something, but it can get you into a LOT of trouble. Fines alone could bankrupt you but apart from that, who wants to throw good money away on fines? I appreciate that you love hosting - so do I - and I appreciate that the money is useful but the risks are too great. Airbnb hosting is fabulous, for those who have the right mentality for it AND for those who are lucky enough for it to be legal in their area. But it’s not the be-all and end-all. There are other ways to have fun and make money without being at risk. Well, as a Superhost who’s been at it hosting for 9 years, it’s a tough pill to swallow. There is no risk of serious trouble or bankruptcy in our situation. It’s a tiny cottage on a small, privately owned property, not a collection of apartments in San Francisco. If we ever got a fine, it would be small and we would stop hosting. I’m simply trying to avoid that while still contributing to an economy I need, and that needs me. I appreciate your perspective all the same. Right on you. Thats much appreciated from a world traveler. These tips are more general and not specific to your situation. As an Airbnb host, its to your benefit to be under the radar in my opinion. You can pick up stalkers otherwise and I have had people call me or just come knocking at the door. Its dangerous. The less people who know your business, the better. Since Airbnb is searchable by anyone in the world, its wise to take some steps to ensure your privacy. Don’t use your real name on your profile. I use my real first name and they make me have at least a last initial but its not my actual last initial. Airbnb knows I do this and they know its because of stalkers. Don’t use a profile photo that shows your face. Airbnb doesn’t require this. They verify your government ID separately. Don’t show a picture that is the street view of your home where someone could figure out landmarks or match things up easily from Google street view. This can lead to people just knocking on your door looking for reservations without having to pay Airbnb fees. If it has one, remove the listings exact address. I’m assuming the cottage listing may be using the main property’s address. You’ll need to create a new listing with the address entered as the intersection or just the nearest street. Airbnb doesn’t require an exact street address because as you know, some listings are boats, campers etc. I’m not assuming your listing has an address or doesn’t have one, just letting you know what your options are. You can send directions on how to get to your listing in a message after a guest is booked and verified as not a G-Man or stalker otherwise. I realize the last one means you’ll lose all of the reviews on your listing but you’ll keep those reviews as a host. Its not bad to start over fresh though. A lot of hosts do it all the time. Thats your options though. He removes his listing during work hours so city workers can’t find it, then puts it back into search in the evening. More and more cities are buying sophisticated software instead of real humans. And they are going to have to pay for it so they need to catch people. I’d think the ones already warned would be first in line for big fines. Also I expect that bad guests are going to start using the threat of reporting illegal listings to the city to extort hosts to not give bad reviews or charge for damages. Well, as a Superhost who’s been at it hosting for 9 years, it’s a tough pill to swallow. There is no risk of serious trouble or bankruptcy in our situation. So what I’m wondering is why you needed to join a forum and start a new topic about hosting under the radar? If there’s no risk, there’s no chance of a large fine and you’re okay doing something that is illegal, then why did you join up to ask us? I’ve been hosting since the early 1980s (before the internet, before Airbnb) but even in those days we had various legalities to sort out - licences and so on. My hosting years have also encompassed two continents and areas with very different legal requirements but I like to sleep at night. We are obviously very different in our approaches. I suspect that Airbnb itself will eventually weed out the hosts who are flying under the radar, so good luck. why you needed to join a forum and start a new topic about hosting under the radar? Because you can be ordered to stop by the city council or local magistrate. If you don’t stop after that, you can be thrown into jail. Not all fines have to be monetary. I have a friend who is a host in NYC. He owns a small apt building (8 apts where he also lives) with his family. he did not receive an official letter informing him to stop STR but he’s is aware of the war being fought between the hotels and ABBs so he does exactly what Mexican instructed you to do. A handful of people know he is hosting on ABB. If the letter you received is just for ABB try other platforms, booking, vrbo etc. Build your own site. If you end up closing your account and opening a new one, remember the IP address… Create your listing from a public library so nobody could link your account to your IP address from home… To me it sounds complicated. I personally wouldn’t do it but up to you.